Hardwood flooring in Beaumont, CA from Panter's Hardwood Floors Inc. In Banning, CA and throughout our 4 county service area, Panter’s Hardwood Floors, Inc. is your source for hardwood flooring and consultation. Hardwood flooring is available in two types, solid and engineered, and each type has specific traits that may affect the choice. Every solid wood strip is cut and milled from a single tree. Thickness will vary from ¾” to 7/16”, depending on the wood being used, the manufacturer, and the width. 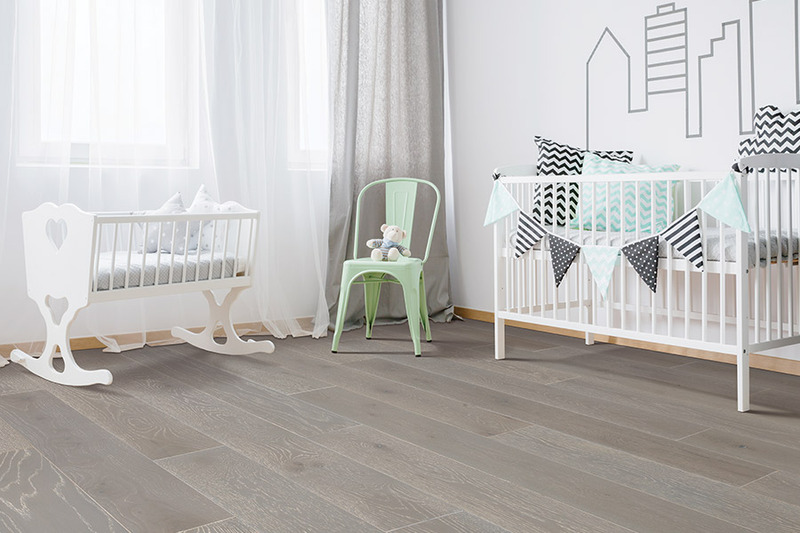 Solid hardwood strips are usually between 2-½” and 3-½” wide, because narrower strips have fewer reactions to humidity and temperature extremes. Solid hardwood can be refinished multiple times before replacement is required. Solid wood is susceptible to the effects of temperature and moisture, which limits the areas where it should be used. Solid hardwood floors should not be installed directly on top of a concrete slab and should include under-flooring such as plywood. 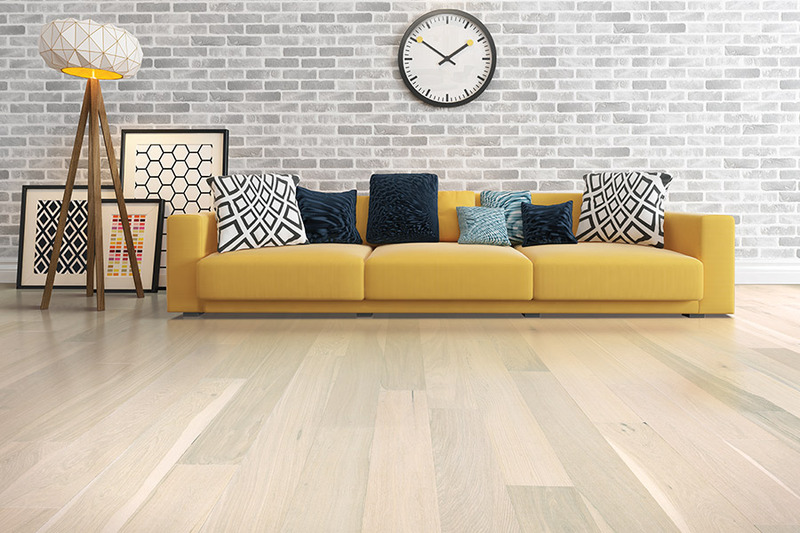 Engineered hardwood floors are made from 100% real wood, just like the solid variety, but instead of each piece being cut from a single tree, thin strips are placed together with alternating grain patterns. This prevents any single layer from expanding or shrinking much in temperature or humidity extremes, eliminating a majority of the warping and cupping that can occur in older or poorly installed hardwood floors. 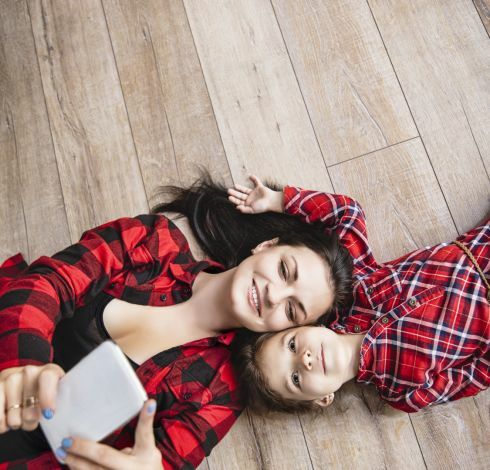 Engineered hardwood flooring can be installed throughout the home, including basements or being laid over a concrete slab. 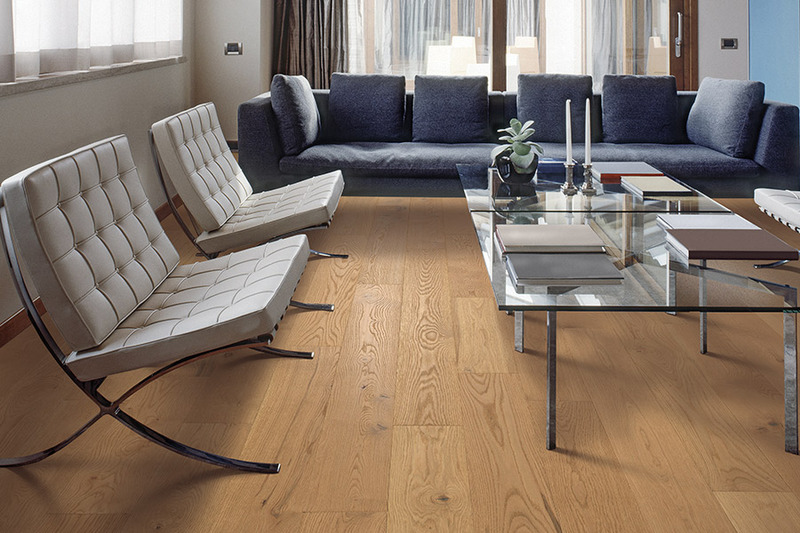 The National Wood Flooring Association points out that engineered flooring imposes more limitations than solid wood. Since solid hardwood flooring is typically finished onsite, you can choose the stain and finish. Engineered flooring is finished at the factory, which slightly limits your options. 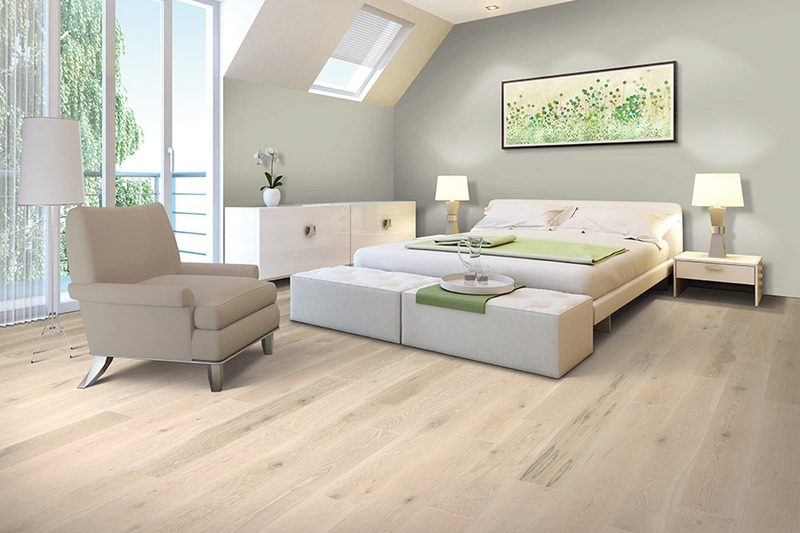 Similarly, engineered flooring can be sanded replaced once or twice before the surface layer is worn away. 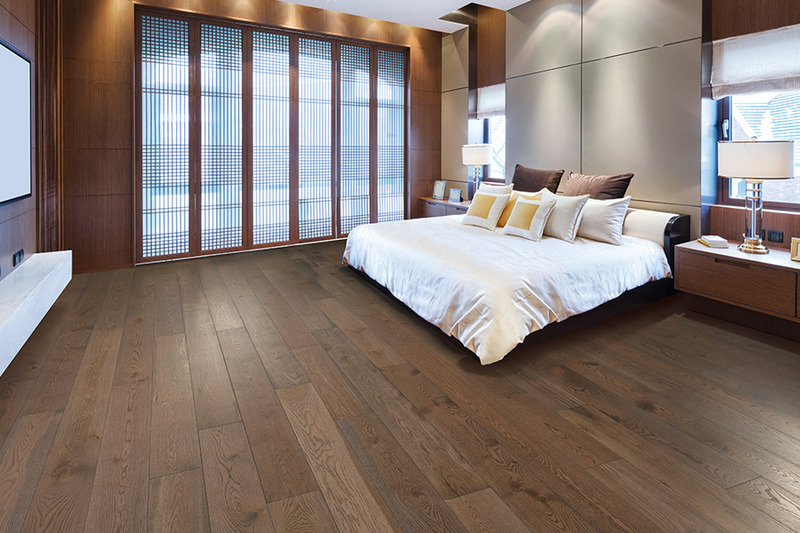 The choice of solid or engineered hardwood flooring comes down to location and personal preference. 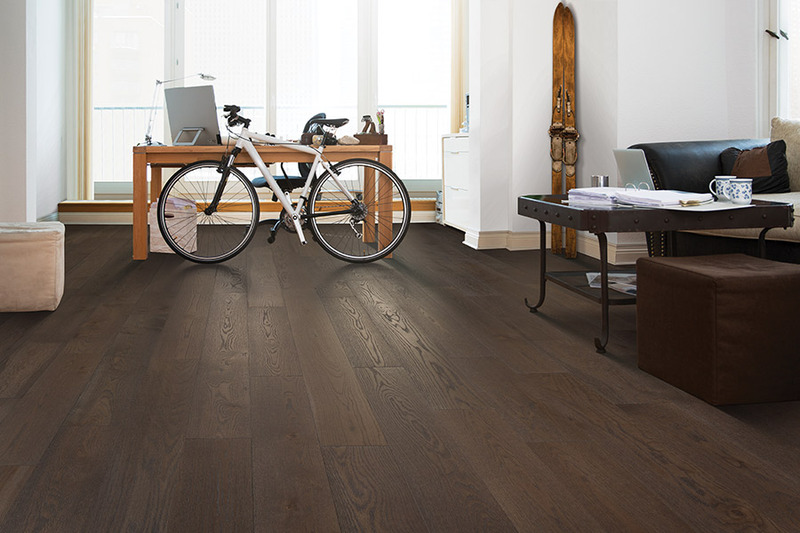 If you are not sure which type works best for you stop by or contact Panter’s Hardwood Floors, Inc., to schedule a consultation today. We service Riverside, Orange, San Bernardino, and Los Angeles counties with complete hardwood floor services from initial design to final installation.